Last season the NA3HL had 51 alumni suit up in its Tier II parent league, the North American Hockey League. The L/A Nordiques are hoping they can add to the 2018-19 total, as six current or future players are showcasing their skills to NAHL teams and junior teams in other leagues across North America. Defenseman J.P. Chauvin will be heading to the Janesville Jets’ camp, which starts July 6 and runs through July 9. The defenseman had 14 goals and 36 assists in 44 games with the Nordiques in 2017-18. Fellow defenseman Andrew McCormick, who had 10 goals and 25 assists in 45 games, will be attending Jamestown Rebels camp, also happening July 6-9. Nordiques general manager and head coach Cam Robichaud has been in talks with 18-year-old Cody Jablonski, a defenseman out of Jackson, New Jersey, who spent the 2017-18 season with the Jersey Shore Whalers of USPHL. He had a goal and two assists in 21 games with the Whalers’ Premier team. If Jablonski doesn’t make the Northeast Generals NAHL team — he’s attending their main camp — Robichaud hopes he can get him signed at the Tier III level in the coming days. Three Nordiques forwards are also attending camps at the Tier II level or Junior A in Canada. Sergei Anisimov, the teams’ second-round pick in the NA3HL draft in April, of Russia is attending camp with the Amarillo Bulls of the NAHL. With the Hill Academy, Anisimov had four goals and two assists in 15 East Coast Elite League Under-18 games. Another potential newcomer is Michael Keller out of Batavia, New York. He played this past season with the Southern Tier Xpress, of the NA3HL, where he had nine goals and 11 assists in 47 games. Keller is going to the Rochester Monarchs camp. Rochester plays in the USPHL’s Tier II league, the National Collegiate Development Conference. The third player is 19-year-old Joshua Sanchez, who joined the Nordiques late last season and tallied two goals and six assists in the regular season before adding another two goals and five assists in the playoffs. He will be attending the Pembroke Lumber Kings camp of the Central Canadian Hockey League, based in Eastern Ontario. 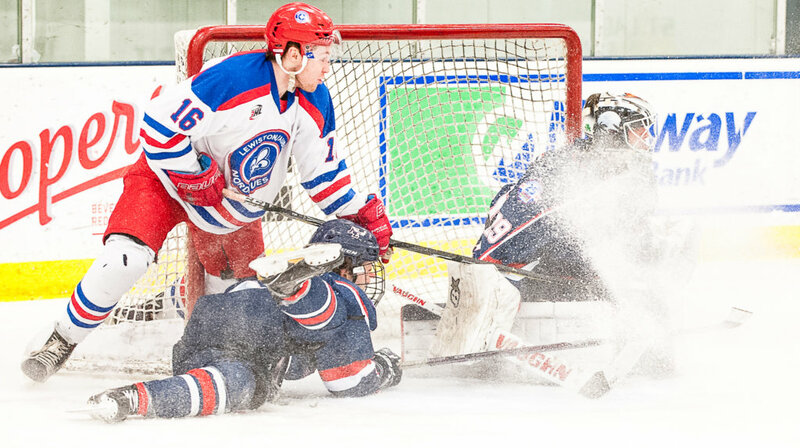 The CCHL is one of 10 leagues under the Canadian Junior A umbrella. Junior A hockey is one step below major junior hockey, which includes the Quebec Major Hockey League. 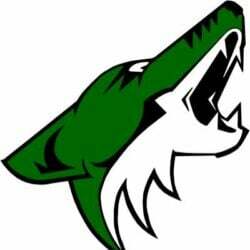 Robichaud has also received several commitments from players who played for the Nordiques last season, including Joe Bisson of Lewiston, who joined the team after the Hebron Academy season was over. With the Lumberjacks, Bisson had eight goals and 17 assists in 23 games. After he joined the Nordiques he added an assist in two regular-season contests and three goals in five playoff games. Also returning are forwards Colby Audette, Connor Kennedy, Josh Malone, Zack Mullen, Armand O’Keefe and Kyle Secor. Robichaud said defenseman Donovan Tehan also will be back with the team. Robichaud said there will be more roster announcements in the coming weeks. Robichaud hopes to start training camp on Sept. 1, and have 21-23 players at camp. The NA3HL hasn’t released its schedule yet, but the season started Sept. 8 last year. The Nordiques’ leading scorer in 2017-18 Caleb Labrie has made his college commitment, choosing attend Becker College in Worcester, Massachusetts. The Greene native and St. Dominic Academy graduate had 35 goals and 35 assists in 46 regular season games. The Hawks play in the Commonwealth Coast Conference, which is a NCAA Division III conference. Last year Becker went 5-18-1. The Twin City Thunder added another forward in Zach Desmarais out of Drummondville, Quebec. The 18-year-old had 13 goals and seven assists in 39 games with Ulysse Prep out of Saint-Roch-de-l’Achigan, Quebec. Thunder head coach Doug Friedman has seen Desmarais play, as Ulysee faced Friedman’s former team, Kents Hills, twice last season.